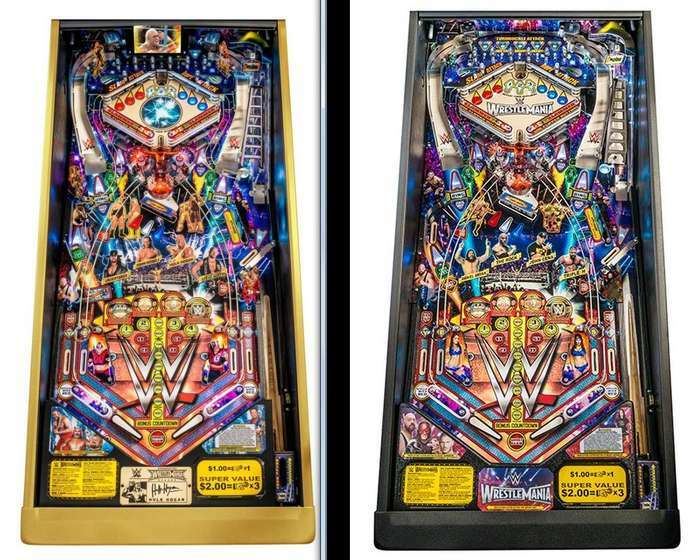 MELROSE PARK, Ill., Jan. 5, 2015 /PRNewswire/ -- Stern Pinball, Inc., the world's oldest and largest producer of arcade-quality pinball games, introduced today the new WWE Wrestlemania pinball machine at the Consumer Electronics Show (CES 2015) in Las Vegas, Nevada. 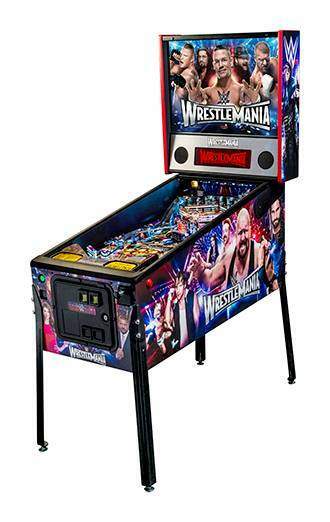 WWE Wrestlemania will be available in both Pro and Limited Edition models. 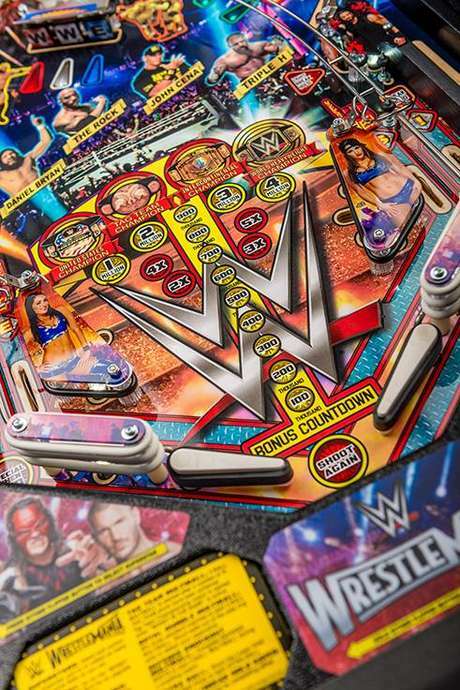 The WWE Pro and the Limited Edition machines feature an innovative upper pinball playfield wrestling ring. 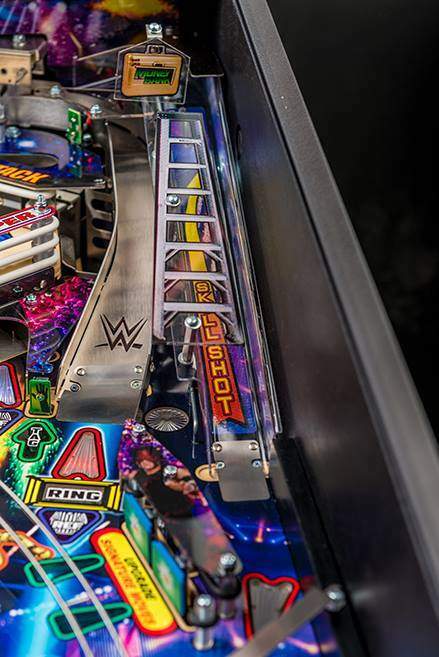 With the flipper buttons, players control two "Slammer" slingshot-style kickers in the ropes of the ring. Completing the three drop target bank starts a wrestling match. 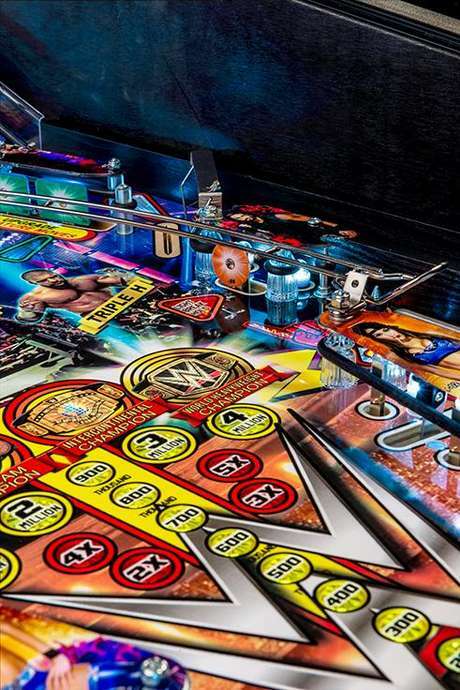 Players rack up points and pin opponents in the ring by shooting into a kick out hole. Keeping the ball in the ring and hitting as many targets as possible will advance players through the match. 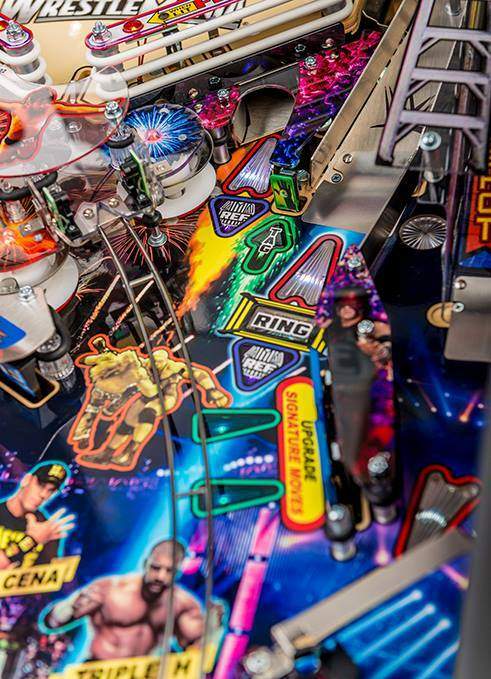 Multiple ramps guide the ball throughout gameplay, while brilliant lightshows highlight the all LED playfield. Ten licensed songs include intro music for wrestlers that players choose. WWE announcers Jerry "the King" Lawlor and Michael Cole add play by play excitement. 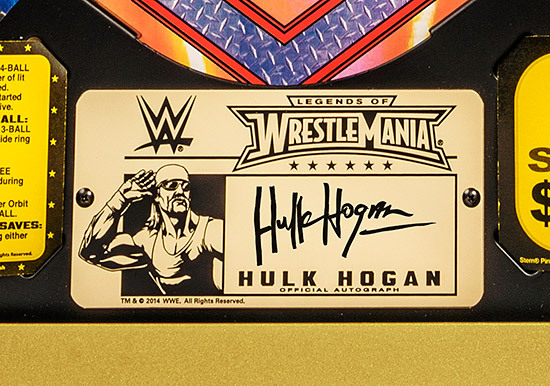 Wrestling legend Hulk Hogan will individually autograph each of the numbered WWE Legends of Wrestlemania Limited Edition (LE) machines on a bottom arch mounted gold plaque. With only 400 autographs available, this collectible must be limited to that number of games. The LE game art features classic WWE stars, of course including Hulk Hogan. 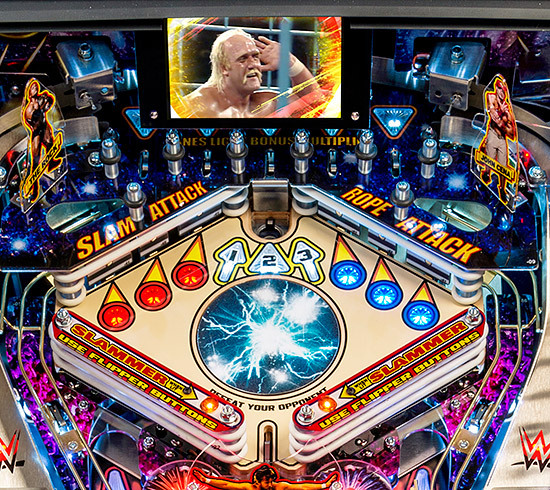 Actual WWE wrestling action is projected on the LE's replica "Titantron" playfield level 5.7 inch LCD directly above the ring. The ball is always wild when it comes into contact with the LE's exclusive "Chaos" spinning DISC while a third "Wham! Arm" flipper allows players to knock the ball off a wire ramp. 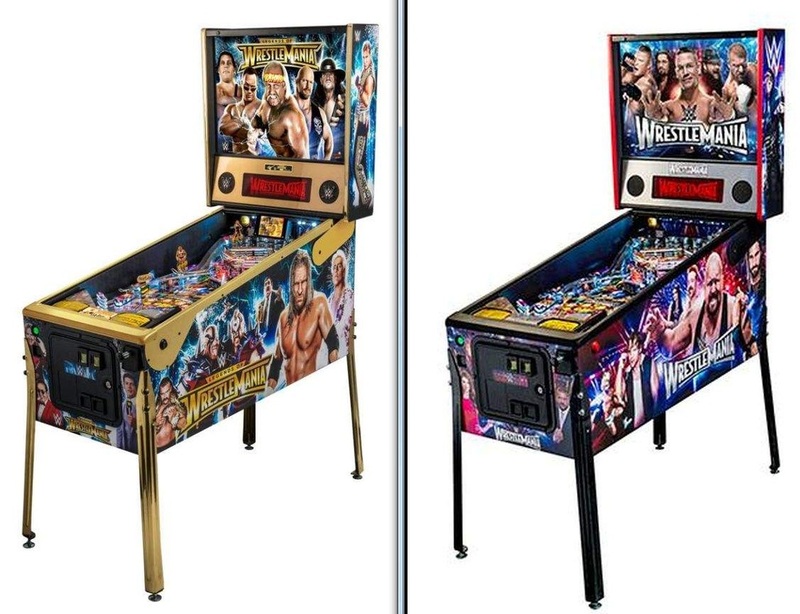 "The WWE franchise features unique characters and fantastic action sequences that are captured in these pinball machines. 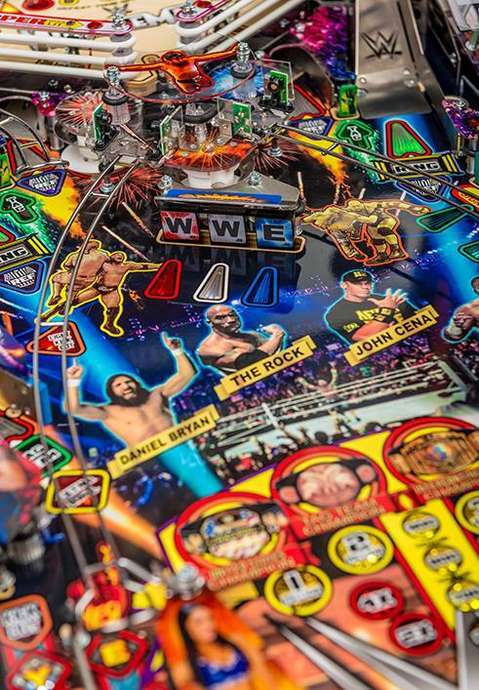 WWE Wrestlemania pinball games will appeal to a very large and diverse group of both WWE and pinball fans," said Gary Stern, Chairman and CEO of Stern Pinball. 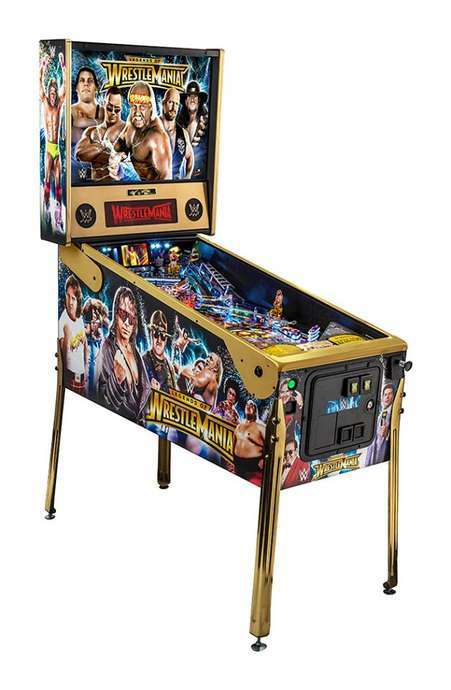 "This game is unique with an innovative wrestling ring and other features that will captivate pinball players of all skill levels." 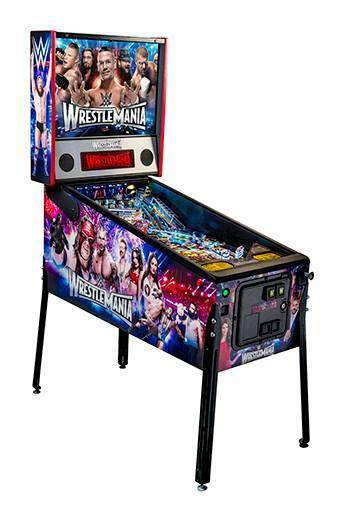 WWE Wrestlemania is the first pinball machine to feature Stern's recently announced SPIKETM electronics hardware system. The new technology reduces product complexity and simplifies manufacturing, resulting in more reliable and easier-to-service games. SPIKETM is both modular and scalable, accommodating and supporting future designs. Players will quickly appreciate higher quality sound, enhanced illumination effects and a more engaging overall game experience. 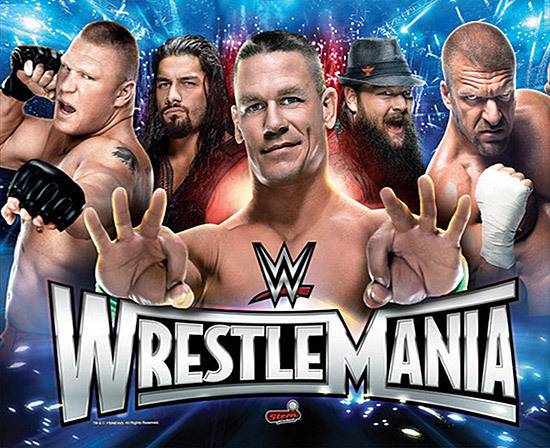 Wrestlemania LE Only 400 units will be produced. Pic of Stern's new "Spike" system that replaces the old "Sam" system that's been around for years. Read more about the new system below in a press release from Stern. 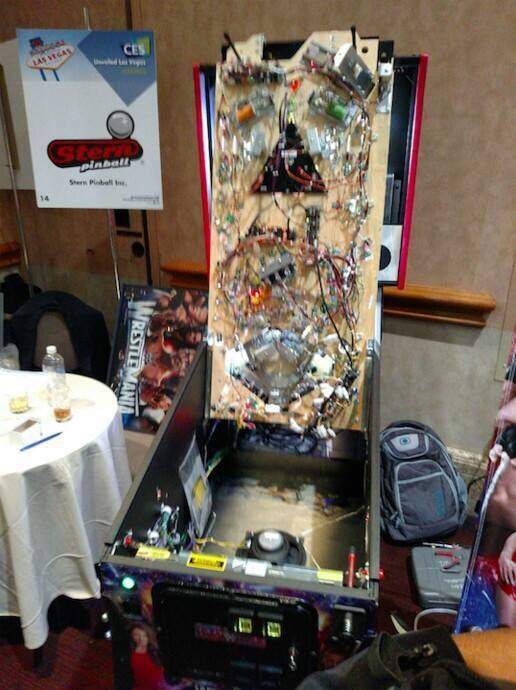 MELROSE PARK, IL – January 5, 2015 – Stern Pinball, Inc., the world's oldest and largest producer of arcade-quality pinball machines, announced today that it will debut its newest pinball electronics system, SPIKETM, at the International Consumer Electronics Show in Las Vegas. SPIKETM is a modern, scalable and modular electronics hardware system engineered for the rigors and complexities of pinball applications. 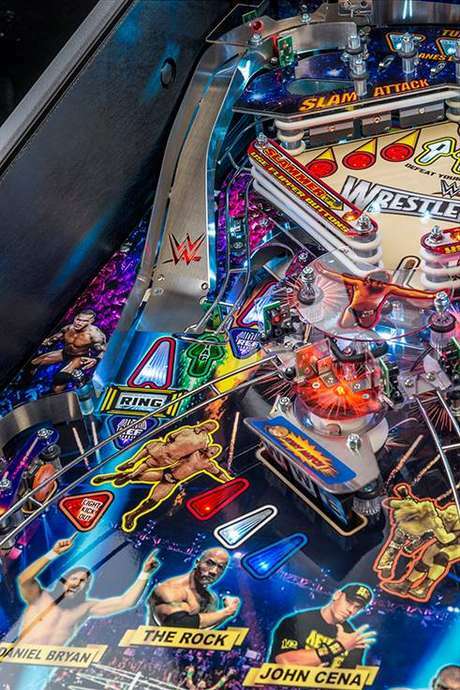 “The modular nature of the system will allow game designers to embrace new technologies to evolve the game of pinball while also improving earnings, reliability, serviceability and efficiency,” said George Gomez, Executive Vice President of Product Development at Stern Pinball. The new SPIKETM system is based on distributed processor architecture and an industrial grade network protocol. These technologies reduce product complexity and simplify the manufacturing of the game resulting in a more efficient, reliable and easier-to-service game. 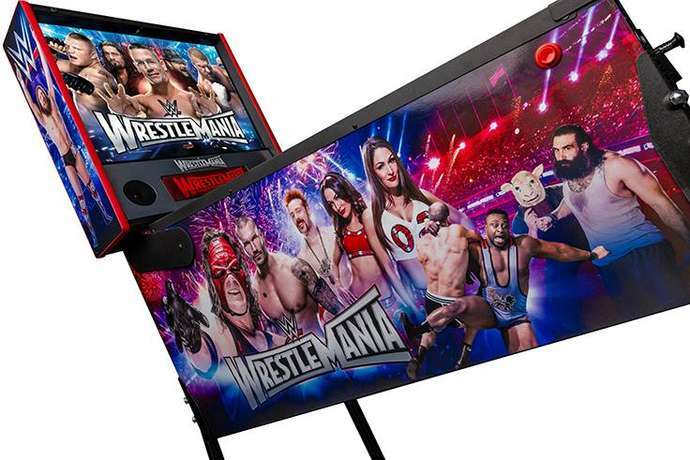 The system is designed to facilitate integration of various display technologies such as varying size LCD displays both on the playfield and in the backbox. The scalable nature of the system allows for the integration of Wi-Fi and numerous new game specific features and technologies. Experienced players will recognize a more engaging overall game experience and quickly appreciate the enhanced illumination effects and higher quality sound. • All LED lighting enables enhanced lighting effects, increases reliability and attracts new players. Included is the florescent light replacement by LED’s, which last longer, run cooler and draw less electricity. A new modern CPU and expanded memory allow the designers greater freedom to create new compelling game scenarios to attract more players and lengthen their engagement. A more powerful high definition digital sound system enhances the game experience. New built-in automotive-grade circuit protection for LEDs, switches and solenoids reduces circuit failures from accidental shorts and environmental faults. Lower game heat reduces stress on components increasing longevity. 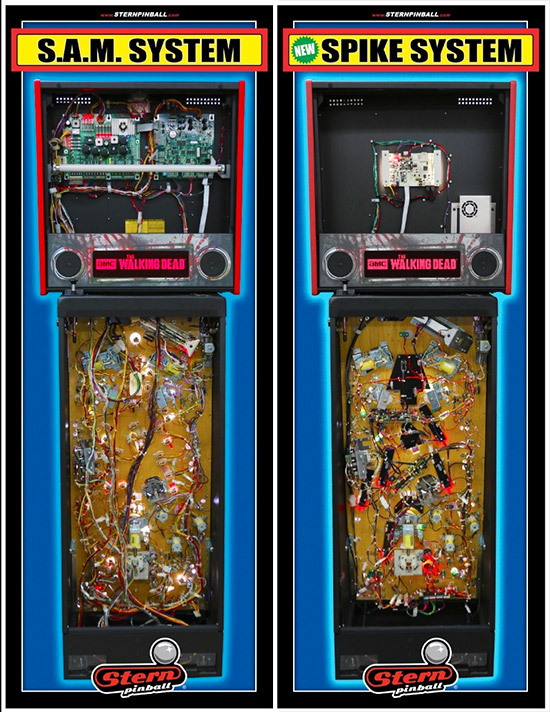 Low-cost game modules are easy for any technician to replace and costly circuit board repair is eliminated. Reduced wiring complexity eases troubleshooting and worn component replacement. Improved system diagnostics make the system easy to learn. Reduced chances of failure from environmental conditions with robust solenoid, switch and lighting protection circuitry. SPIKETM system games use less energy than older models and generate less heat during operation. New controllable LED artwork backlighting reduces fade, saves energy and lasts longer.